Business Intelligence vs. Google Analytics – Why is a business intelligence solution indispensable for companies? Data, analyses, predictions, marketing automation and “business intelligence” (BI) gain more and more importance for companies of every size and branch in this “area of digital transformation”. With the help of a BI solution all relevant information from different data sources of a company can be gathered, reviewed and analyzed, in order to generate new insights about the efficiency of every marketing activity, customers and products as a basis of growth and profitability. From our experience at Applicata, we know that many companies, especially small- and mid-sized ones, still relinquish the use of a business intelligence solution. 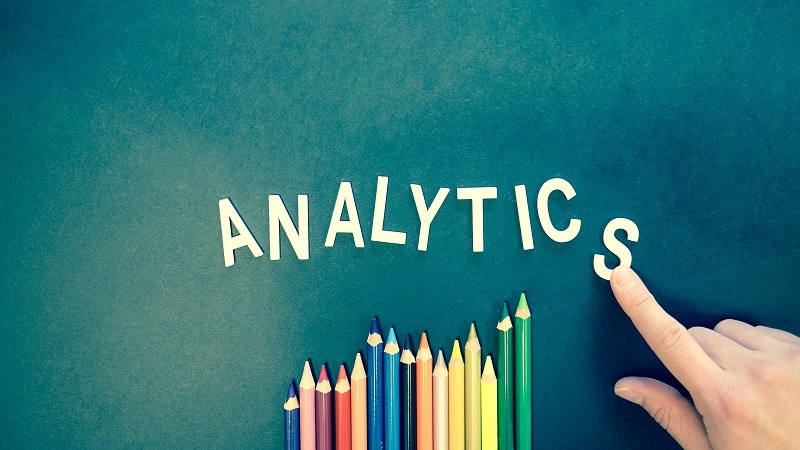 Most companies, however, use the free tool “Google Analytics” (GA) for their analyses and wonder why they should additionally use a BI solution. 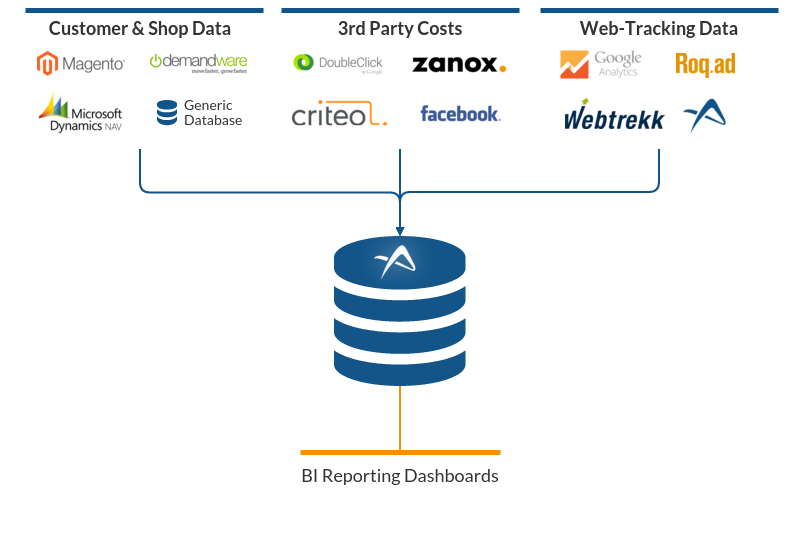 A BI solution automatically integrates marketing, customer, product and shop data from various sources in one software. Google mainly registers website accesses and the customers’ behavior on the website. The ability to integrate information from other sources is limited. Due to the import of customer and product data from the shop and ERP system, data within the BI are 100% correct. In the free version, Google only offers aggregated data but does not provide raw data. The e-commerce tracking is cookie based and error prone. The costs of individual marketing channels and activities are gathered automatically. Therefore, the profitability can easily be calculated. In order to consider marketing activities and channels in regard to their profitability, cost data mostly need to be gathered manually and imported with great effort. As all a company’s data is being aggregated in one software, dashboards and reports are created automatically. Therefore, all the available data can easily and flawlessly be analyzed and marketing activities can be optimized. As you do not have access to all your companies’ data in GA, dashboards and reports need to be created manually outside of GA usually using Excel. This is however time consuming and highly error prone which leads to incorrect information. A BI solution supplies exact data: what website visits led to orders & transactions, whether these were new or existing customers and which source had the most visits leading to transactions. Google Analytics only supplies basic information about the amount of website visits, the length of each access and the bounce rate. Within a BI you can automatically create predictions of the performance and profitability of every marketing activity. The Google tool does not offer any functionality to create predictions for future performance and profitability. This comparison clearly shows that a BI solution has significant advantages compared to Google Analytics. Nevertheless, we do not want to badmouth Google Analytics or downplay its importance. When it comes to Marketing ROI analysis Google Analytics alone just does not suffice and a BI integrating various data sources is needed. Every business intelligence solution however does rely on Google Analytics (or other web analytic tools such as Webtrekk or AT Internet) as an important data source. A BI’s advantages, therefore, arise out of the accumulation and abundance of various data sources’ data. Applicata offers you exactly these advantages in one software. In various projects with our clients, we combine data from more than 20 data sources. Based on this aggregated and reliable data our clients create self-service dashboards and reports. The BI is also being used to calculate predictions about customers’ behavior and to optimize all marketing activities.